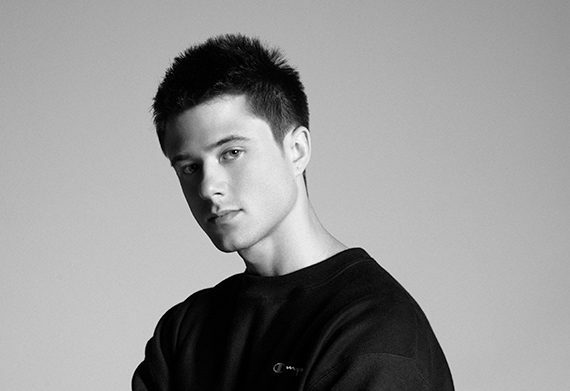 LA based singer-songwriter Alec Benjamin is a self-described narrator. Strongly influenced by artists such as Eminem, Paul Simon, and Citizen Cope, Alec is a storyteller, weaving his own experiences and those of the people around him into his music. His penchant for story telling through cinematic, lo-fi pop saw him signed to a record label at just eighteen years of age. And while Alec enjoys over 268,000 YouTube subscribers, a legion of fans and new opportunities in the pipeline, his career so far hasn’t been all smooth sailing. The day after handing in his first album, Alec was dropped by his label, and it has been his dogged perseverance and love of his craft that have got him to where he is today. We caught up with Alec just after the release of his new single Let Me Down Slowly. Leiden: What first drew you to music? Alec: I was first drawn to music when I heard the song Stan by Eminem. I was fascinated by his storytelling. L: You have endured some setbacks in your career so far, how do you stay motivated? A: My love for music has kept me motivated. I can’t really see myself doing anything else with my life so I have no choice but to keep going! L: How important has YouTube and maintaining close contact with your fans been to your success? A: YouTube has been very important. I think that YouTube has really helped me maintain a close relationship with the people that support and care about my music. L: Can you tell us a little about your creative process? How do you approach writing a song? A: I really love storytelling so the most important thing for me is making sure that I have something to say. Before I begin each song I try to make sure that I have a clear idea of where I want to go with the lyrics first. L: How important is collaboration to you? A: Collaboration is very important to me. It is always nice to work with other songwriters and artists. It helps me get out of my own head. A fresh perspective is very helpful. L: Tell us a little bit about how you see yourself as a narrator? A: I see myself as a narrator because my songs are mostly based around telling a specific story (or narrative). I like to write songs about things that are happening around me and I am not always the main character. I suppose that is what makes me a narrator. L: How do you hope to see your career progress from here? A: I am never exactly sure where my music will take me but I hope that every time I put out a new song I am able to have an impact on the people that listen to my music. I got into making music for that purpose.